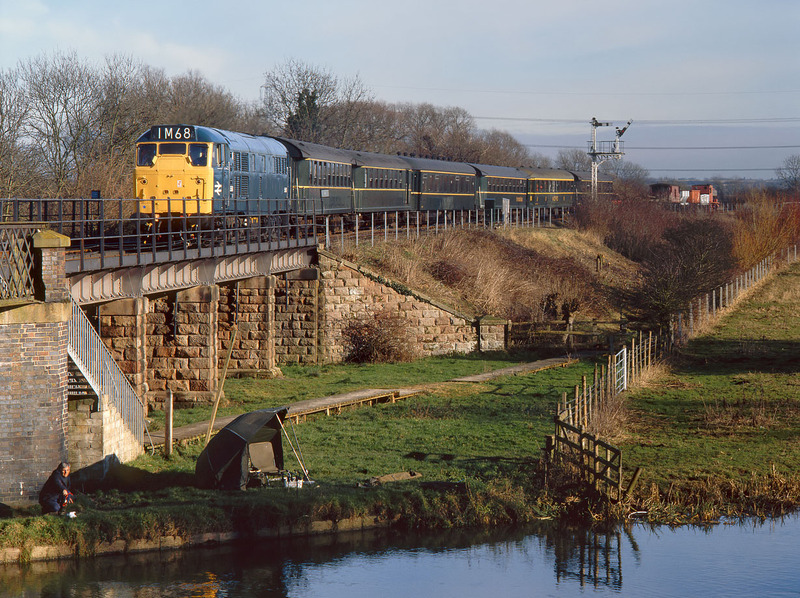 With a fisherman caught in the act of catapulting ground bait into the River Nene in the foreground, 5580 arrives at Wansford with the 12:00 service from Peterborough on 16 January 2000, during the Nene Valley Railway's Diesel Gala. The loco was celebrating its 40th anniversary at the time. Unfortunately the English rural scene is slightly spoiled by the foreign coaching stock.